The restaurant inside Sri Krishna Sweets serves breakfast, lunch, and dinner. My father and I had a delicious South Indian breakfast, and experienced good customer service and hospitality. Read this blog post to know more. Simple and quick recipe of a Strawberry Hazelnut Chocolate Tart. I prepared this tart at home and gave it to my colleagues and children on the road. It was fun making it and seeing people happy after enjoying the tart. 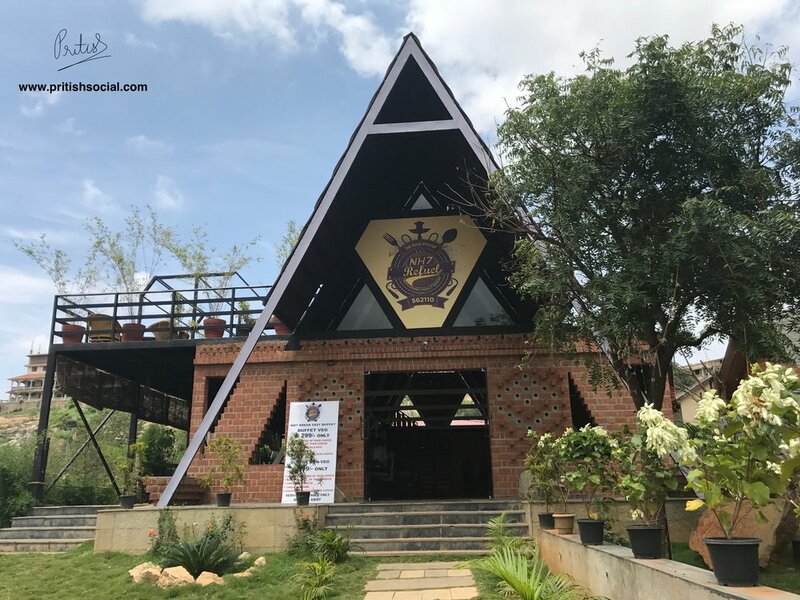 Roastery Coffee House in Banjara Hills redefines Hyderabad’s café experience with artisan coffee. 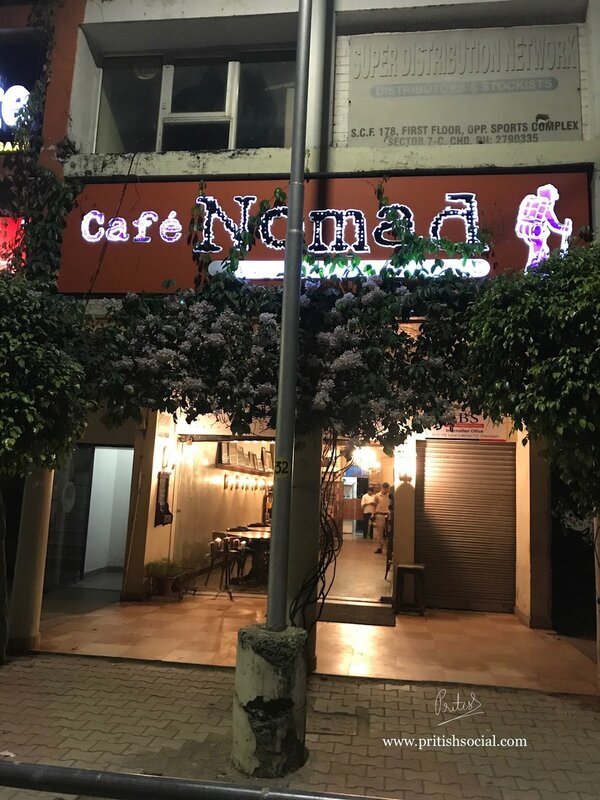 Beautiful ambience, good customer service, an outdoor seating with fresh air, delicious breakfasts and lots of continental food to try from their menu, and free WiFi, makes customers come back to dine in. Cannoli Café is a Gourmet Café in Jubilee Hills that serves all day breakfasts, wine, beer, ice-creams, desserts, teas, and continental food. Cannoli Café is situated below Hylife Brewing Company. There are many vegan options, and different types of breads. Read this blog for the full review and photos. Affair at 10th Street is a fine dining restaurant that serves continental, European, Indian, Desserts, and Pizza. Cost for two is Rs 1600/-. The ambience and architecture screams Victorian period. Affair at 10th street is an ideal place for dinner or Sunday lunch. View photos, address and customer review. Nando’s at Phoenix MarketCity Chennai, is the first in town. The South African peri-peri flame grilled chicken restaurant is in the upper ground floor. Read my food blog to learn about my experience and review of Nando’s restaurant. Garden Cafe in Bir is situated away from the Paragliding landing site and near Tsering Jong Monastery. Garden Cafe is the best restaurant and serves Tibetan, European and continental cuisine. There is a guesthouse too if you want to stay. “Hibachi”, a Pan Asian restaurant inside Hotel Icon in Sector 8 Chandigarh, serves different cuisines including Thai, Chinese, Indonesian, Sichuan, Cantonese, and Japanese. View Hibachi photos, menu, and customer review. Visited Sundaram's, a restaurant in Chandigarh’s Sector 26, that serves authentic and delicious South Indian food, and is open for breakfast, lunch, and dinner. This casual South Indian eatery allows customers to customise their curry cup with vegetarian and non-vegetarian options and bases to choose from. If you are in Chandigarh, visit #Aja a 3 year old casual dining grill restaurant/café in sector 11, that serves cuisines including Mexican, Italian, Asian, Thai, and Tibetan, besides Salads and Juices. Here is my review, photos, menu, and address details. Garden Café is situated towards the little tibetan town, away from the Paragliding landing site and near Tsering Jong Monastery. Garden Café breakfast and brunch are travellers’ favourites. In this blog, you will find Garden Café photos, menu, address, and contact details. ‘That Madras Place’ is one of the finest restaurants in Chennai. European and Italian cuisines along with Desserts and Salads are served. Price for 2 is only Rs 800/- at That Madras Place. You can order via Swiggy, but I recommend you visit the place to have a meal. Warehouse Cafe in Connaught Place, New Delhi, has great food, beautiful ambience, upbeat music, nice bakery, and good hookahs. 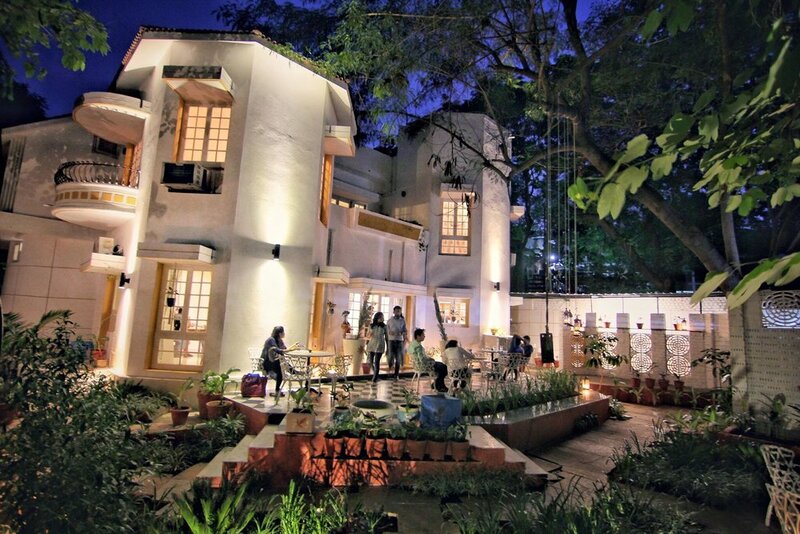 Warehouse Cafe is one of the best bars in New Delhi. 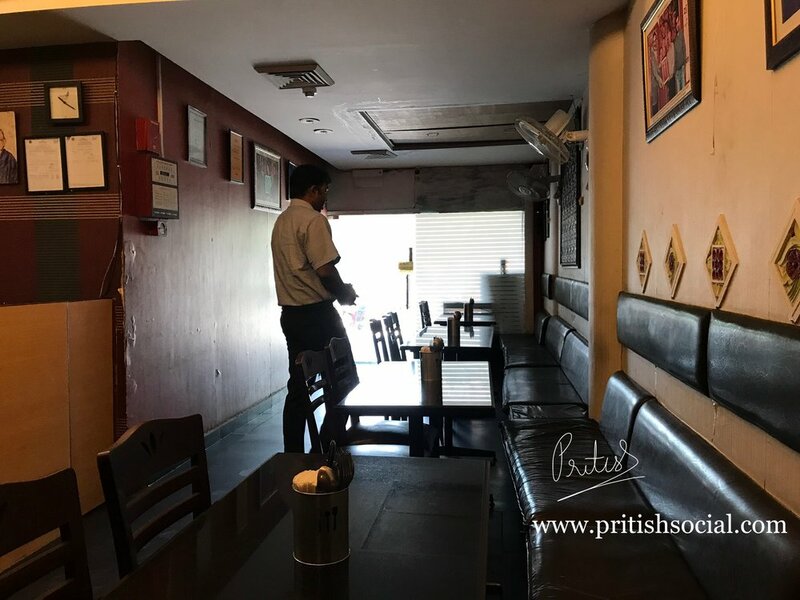 Read full blog that includes photos, restaurant review, price, and contact details. Kalmane Koffees in Forum Mall, Bangalore, serves excellent South Indian filter coffee, and tasty cocktail samosas. Kalmane Koffees is one of the nicest coffee shops in Koramangala area. If you are shopping at Forum Mall, do visit the cafe. Red Rhino, a microbrewery in Whitefield, Bengaluru serves Continental, Mediterranean, South Indian, North Indian, and Asian food. Red Rhino also has awesome beers, brunch, and rooftop. View photos from the Red Rhino launch party. Whitefield Social has innovative food combinations and names, loud environment, serves American, North Indian, Chinese, and Finger Food. Whitefield Social is one of the best pubs in Bengaluru. Read full blog that includes photos, restaurant review, price, and contact details. Collecting and analysing Customers' Tastes, Preferences and Behaviour Patterns is Gold. Behavioural Analysis and Artificial Intelligence is the future in India.